A first of its kind of live entertainment in the country has been set up at Kingdom of Dreams, in the Sector-29, Gurgaon. 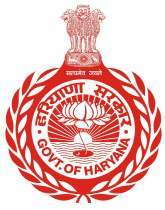 The entertainment center was inaugurated by Haryana Chief Minister on January 29, 2010. Kingdom of Dreams Opera Theater It is a unique cultural center in itself In this Opera theater, one can have the glimpses of European countries, including Paris, America and England, in one place. There is a cultural lane where glimpses of different traditions, food & dresses of different states of India are showcased. The food of Indian States also served to the tourists After Mumbai in Gurgaon in the country and is a famous tourist destination. One of the nine Shaktipeeths in the country Sheetala Mata Devi in ​​Gurgaon Village The Religious Temple pond, attracts a huge crowd of people, the year around, especially during Navaratri, around Diwali festival this temple holds two times a year in Chaitra and Ashadh months. A the situation like Kumbh is experienced during these Melas It is believed that the worship of this Shaktipeeth fulfills all the desires. In Gurgaon district 46 kilometers from the Capital Delhi, is the Sultanpur National Bird Sanctuary on the Gurgaon-Farukhnagar Road. The Credit for the discovery of this bird sanctuary goes to bird lover named Peter Jackson. There is also an ancient lake here. About one hundred species of birds and Siberia countries for reproduction every year in this huge natural lake, spread over about 265 acres of land, National & International tourists visit this Place.